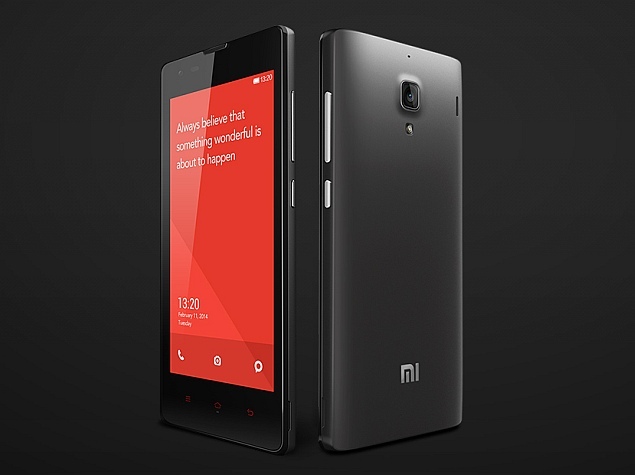 Another mobile chapter of Xiaomi has come the Redmi 1S smartphone that is already been launched with a priced of Rs. 5,999 in India, however the company have slight changes at the last minute as far as the price is concerned. The Xiaomi Redmi 1S will be available through its first flash sale tomorrow (September 2, 2014) and consumers may register for it on Flipkart after 6pm IST on Tuesday. This dual sim Xiaomi Redmi 1S first announced at China last May, features of 4.7 inch 720x1280px IPS-LCD display with AGC Dragontrail glass protection and also with a pixel density of 312ppi. This Xiaomi Redmi 1S runs with Android 4.3 Jelly Bean with MIUI v5 skinned at top. Xiaomi Company guaranteed us an upgrade to Android 4.4 Kitkat with a MIUI v6 within this year. This device powered by 1.6Ghz quad core Snapdragon 400, Adreno 305 GPU 1GB ram and 8GB build in storage than can expand through microSD up to 32GB. Redmi 1S features an 8MP autofocus camera with flash together with a 1.6MP front camera, also have a 3G, GPRS/EDGE, Wifi with a a direct and hotspot features. Bluetooth, Micro USB, FM radio, and USB OTG connectivity. The battery is 2000mAh, the while device weighing 158 grams and has a dimension of 137x69x9.9mm not bad for a affordable phone compare to other the gather a complain just like the cellular country complaints. Because it is affordable like other smartphone but Xiaomi Redmi 1S is much more have a great advantage when it comes to specs. After the release I’m pretty sure many people will grab this smartphone and worst happen it this will be have a shortages of stock just like the Xiaomi Mi 3. Hope will not going to happen.